If you love fine jewelry design, then you are sure to love this magnificent sterling silver Black Onyx Cuff Bracelet for women. The three crown design of this piece is truly impeccable, making it equally s... Read more. 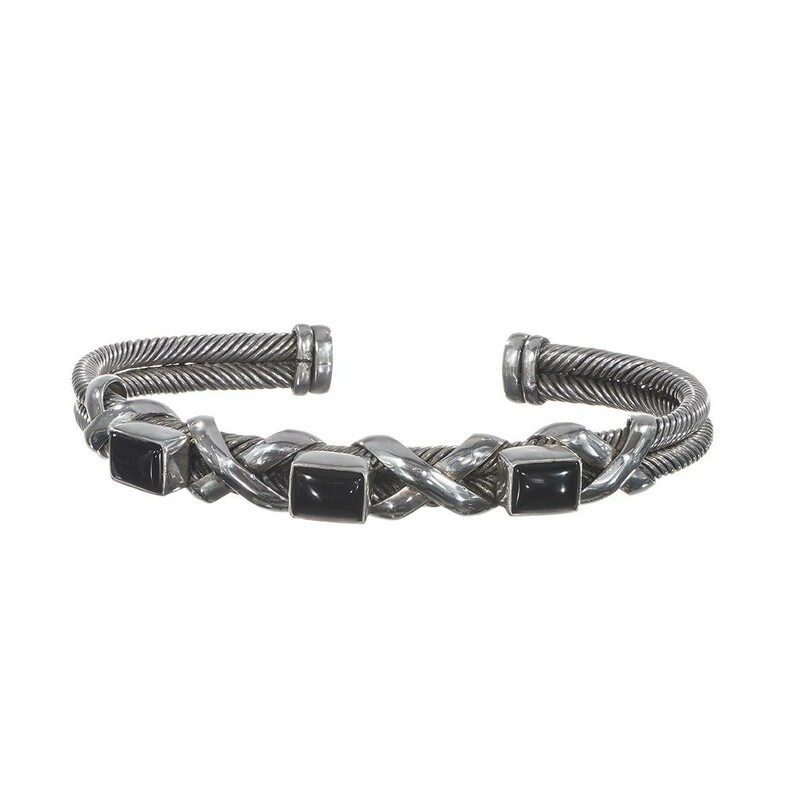 If you love fine jewelry design, then you are sure to love this magnificent sterling silver Black Onyx Cuff Bracelet for women. The three crown design of this piece is truly impeccable, making it equally suitable for either casual wear, or for a night out. No matter what the occasion or wherever life may take you, this bracelet will be adored by all who see it. Beautifully handcrafted by a local artisan in Bali. * Adjustable to one extra size. Please check bracelet inside dimensions.